This striking Baptism gift for a baby girl or baby boy is a wonderful memento of his or her special day! Touching personalized poem in a classic gold cross design with room for a photo. Rich-looking brushed gold and silver 5x7 inch photo frame (outside dimensions 7x9 inches). Your Personalization and Photo + Our Original Poem and Design = A Baptism Keepsake to Cherish! Need a gift for a little one who is being baptized? One gift idea that is pretty common is a picture frame with a photo of the Godmother and/or Godfather with the Godchild. 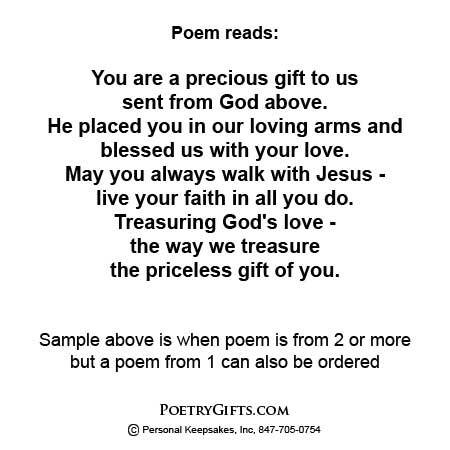 PoetryGifts.com has "kicked the old Baptism standby gift up a few notches" and offers a heartfelt poem that is personalized with names, date, church name and a personal message. 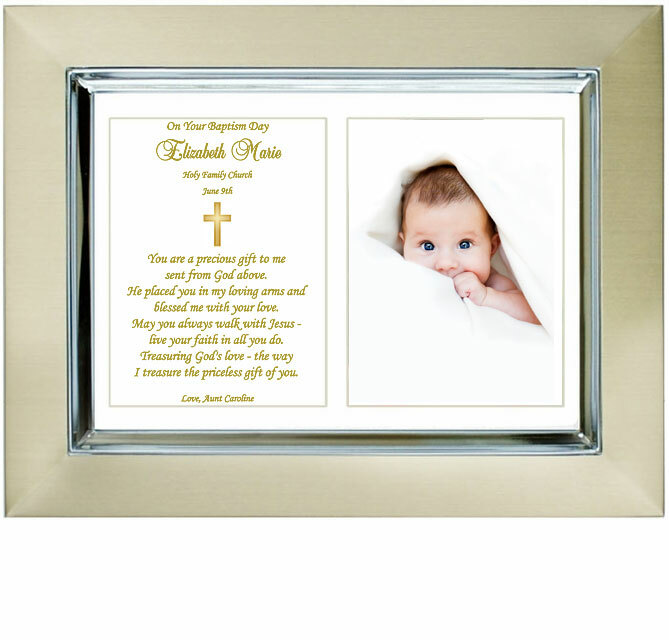 The lovely gold cross design also has a cut-out opening for you to easily attach a favorite photo of the child on his or her Baptism/Christening Day. 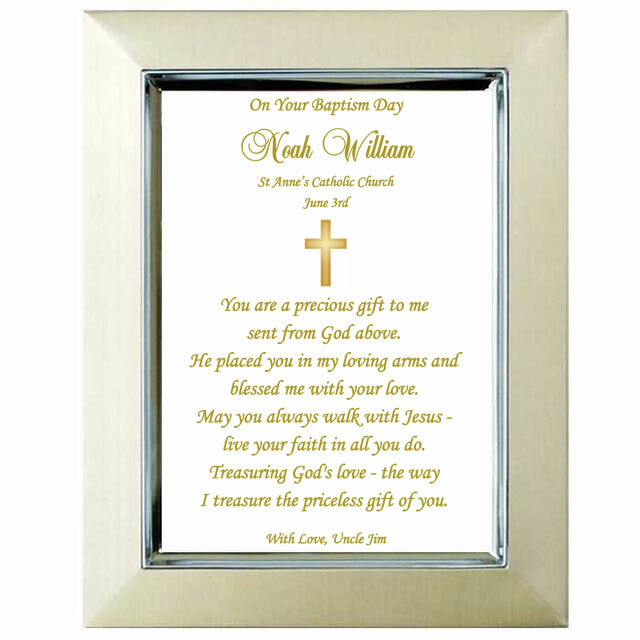 The attractive brushed gold and silver metallic 5x7 inch frame has outside dimensions of 7" x 9". This EXCLUSIVE Baptism Gift will look great on a shelf in the baby's nursery! The photo opening is approximately 3x4 inches. If you do not want a photo area in your Poetry Gift, choose the No Photo Area option when placing your order.